Shared tag space — a comparative visualization of the keywords people in five cities use to describe their selfies. 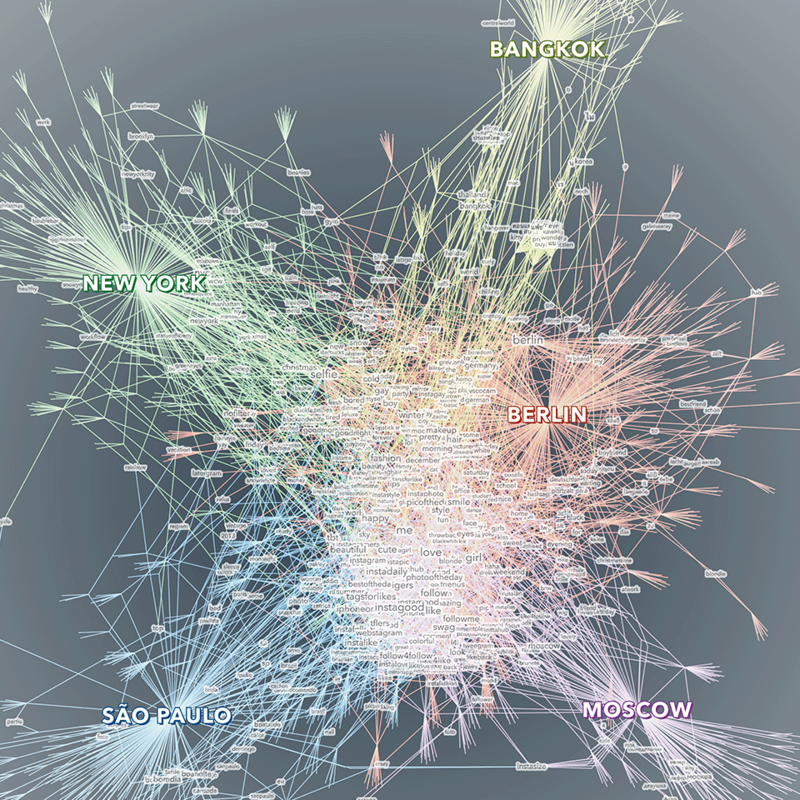 The visualization displays a network of tags, cities and photos. The photos are used as bridges between tags and cities. Only tags that have been used at least twice are displayed with a text label. Bigger tags are used more often. The tags in the center constitute shared vocabulary across the cities, while the ones on the outside are more specific to one (or sometimes two) cities. The visualization was created as part of the selfiecity project, an interdisciplinary investigation of the selfie phenomenon. Created with gephi, processing, Adobe Illustrator.